Gansu Artist Zhang Yongzheng came to Kunming in 2004 and has been making art here ever since. 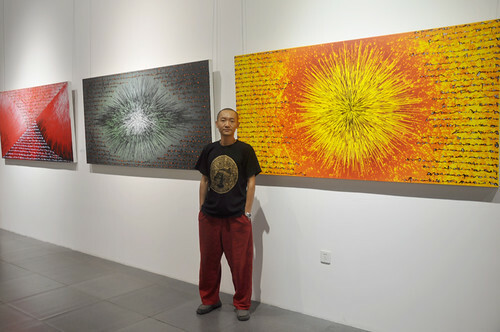 Yunnan’s climate and culture have left a deep impression on his art, particularly on his “Process” series of abstract works. 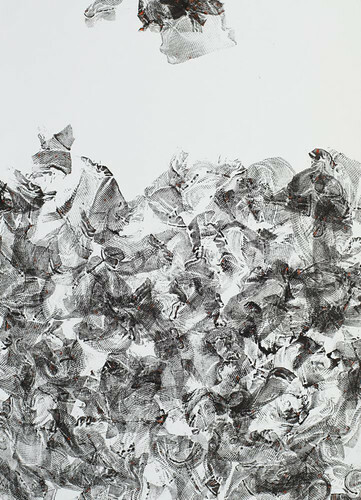 At the same time he has been engaged in a great number of paper-based improvisational works and it is these that will be exhibited in the upcoming exhibition. Zhang Yongzheng’s paper-based improvisational works are made with materials such as string, rope, rags, clothing, and palette knives. 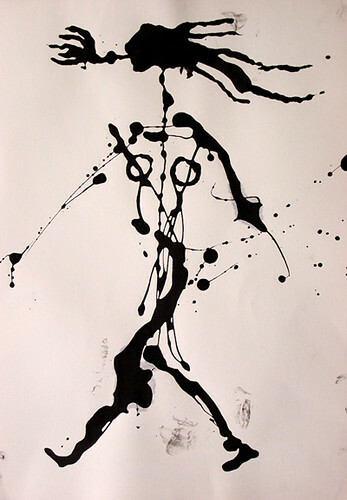 These he wets with ink in order to whip, rub or drip the image onto the paper. 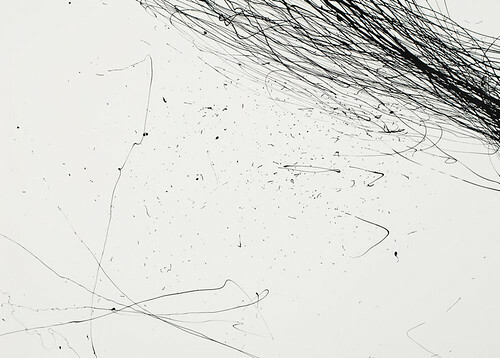 The paper, having gone through these “actions,” carries the vestiges that are left behind in the form of lines or shapes. 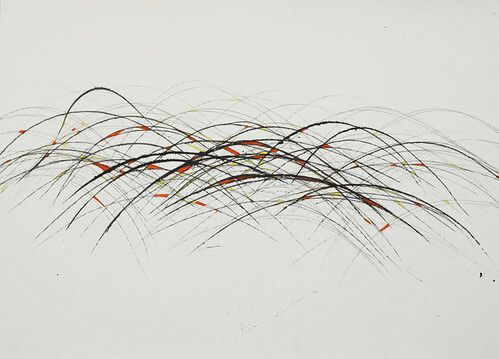 These forms are related in the way they crisscross, hedge, and superimpose upon one another. The shapes on the page rise, fall, and interact, resulting in a feeling of unrestrained movement. 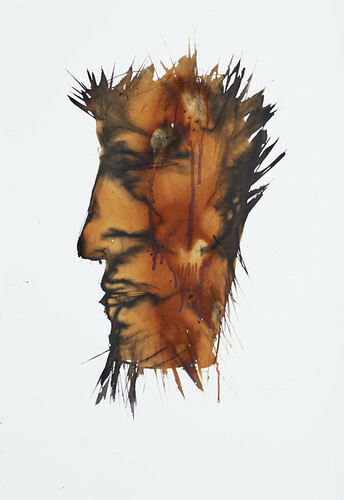 They emphasize the expressiveness of the paint and ink while exposing the vividly spiritual nature of the tools. 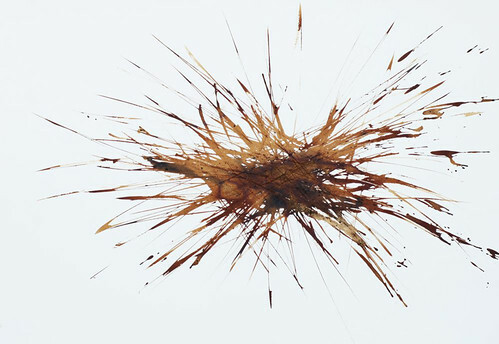 The works are unaffected and nimble, brimming with dynamism and humorous delight. They are reminiscent of the metaphysical view in Daoist philosophy that an entity in the universe is ceaselessly growing and multiplying, unstoppably, meticulously in motion. 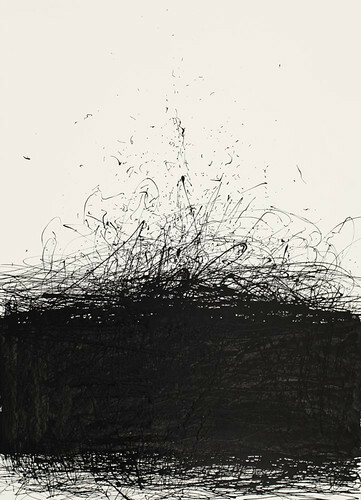 Zhang Yongzheng held an exhibition in TCG Nordica Gallery in 2005 that had profound repercussions. Now, after seven years, he returns to TCG Nordica Gallery to collect and display the paper-based improvisational works he began making in 2004, works which until now have never been displayed. 50 works have been specially selected to share with the public in this special exhibition. The exhibition has been named “Wu Wei”, in reference to the Daoist concept of active inaction and its close relationship to abstract art. This exhibition has been organized by the combined efforts of TCG Nordica and Kuangyu Gallery in order to present a rare chance to experience the works of this abstract artist. 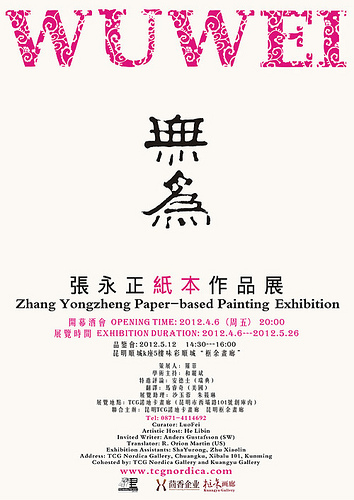 The exhibition opening will be held on April 6th, 2012 at Xiba Road 101, Artist Loft, TCG Nordica Gallery, and the exhibition will continue until May 26th.